About the Company: It is an extraordinary time to be in business. As digital transformation continues to accelerate, CGI is at the center of this change—supporting our clients’ digital journeys and offering our professionals exciting career opportunities. At CGI, our success comes from the talent and commitment of our professionals. As one team, we share the challenges and rewards that come from growing our company, which reinforces our culture of ownership. All of our professionals benefit from the value we collectively create. Earn upto ₹25,000 every month | Earn Money With No Investment‎ !!! Download the App Now!!! Interested in Govt Jobs? Click Here to Find all the latest govt job alerts, govt job vacancy, recruitment alerts and Sarkari jobs..
First level Applications Development professional, representing the most common entry point into the organization. Performs routine activities related to applications development. Focuses on learning and acquiring work skills/knowledge in the Applications Development field. o Good Analytical, logical and problem solving skills. o Perform analysis and investigation on the incoming tickets, tasks and requests, prepare documentation, proactive assignment of new tickets from the queue to oneself and work on those tickets. Limited-Time Discount, Over 75,000 Programming courses on sale for only ₹700 each for a limited time! Apply Before the link Expires. Click Here to Download Previous Year Placement Exam Questions Papers for TCS, Infosys, Wipro, Cognizant and more along with detailed solution. Subscribe to our mailing list and get instant Job updates in your email inbox. OffCampusJobs4u’s vision is to provide latest Off-campus job updates to young graduates. This is an effort to reach millions of job seekers every day with latest jobs information. 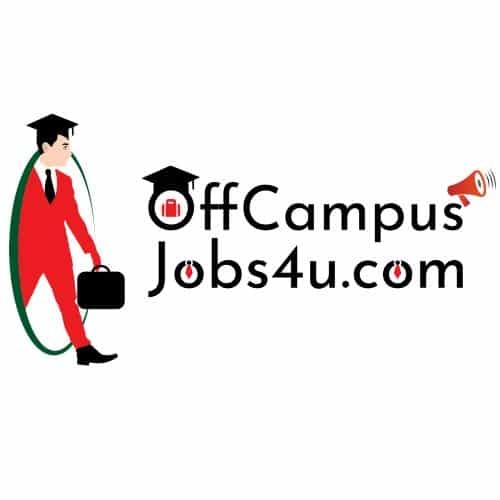 OffCampusJobs4u.com was officially launched in May 2016 but within a short period, we have grown to become one of the most visited Job Information Website in India.